News from Big Rock Pub: The newest eatery in the Valley, Big Rock Pub, is opening their doors to host Rock the Ride, a kick-off party and fundraiser on Jan. 29 from 1 to 5 p.m. This event is the official kick-off party for the Palm Springs Cruisin’ Association’s annual event “Dr. George Car Show,” which proceeds benefit Desert Cancer Foundation. Big Rock Pub at Indian Springs Golf Club, “pub and club for a cause,” will host a special “Monthly Cruisin’” of Palm Springs Cruisin’ Association, to get ready for their 15th Annual Dr. George Car Show on February 11, 2017 at Indian Wells. These car enthusiasts will bring 200 rides and park along the 18th green at Indian Springs Golf Club. This event is open to the public, free to attend with a suggested donation of $20 that will be donated to Desert Cancer Foundation. 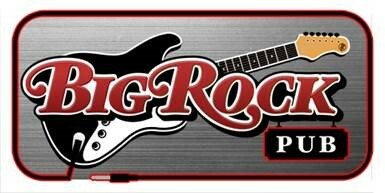 Rock the Ride is sponsored by Big Rock Pub, Indian Springs Golf Club and Desert Cancer Foundation. For more information on this amazing event, visit www.TheBigRockPub.com, www.desertcancerfoundation.org or check out the event on Facebook. The Palm Springs Cruisin’ Association is an all-volunteer non-profit organization whose purpose is to promote camaraderie among car enthusiasts and to stage and promote charitable car events. Our main annual fund raising event, The Dr. George Charity Car Show, benefits the Desert Cancer Foundation. Big Rock Pub is located at Indian Springs Golf Club, a popular public golf course among local Coachella Valley residents and east valley tourists. Voted ‘Best Places to Play’ with a Four-Star rating by Golf Digest Magazine, a ‘Top 5 Public Course’ by Desert Golf Magazine, and noted as a ‘Best Course Under $100’ by The Desert Sun, the club now offers this unique venue combining classic rock and classic cuisine.